When a user registers as shown above, an email confirmation code is sent to his email address. 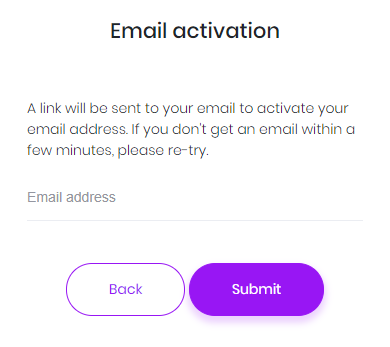 If user did not receive this email for some reason, he can click Email activation and re-send the confirmation code. Again, Tenancy name input is not shown for a single-tenant application or tenant name is known via subdomain like tenancyname.mydomain.com.